When a rogue needs armor, it needs to be flexible and supple enough to move and shift, and it absolutely must NOT hinder the wearer. 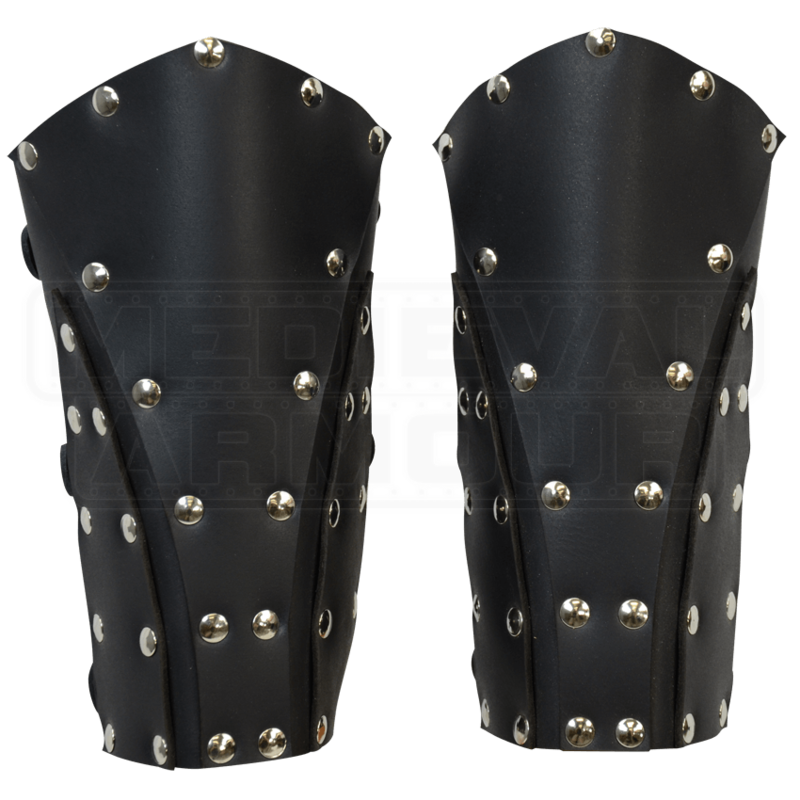 These Dark Rogue Leather Bracers offer up a design that not only looks great but also offers solid protection too. These bracers are made entirely from 7/8 oz. leather with a riveted and plated design that is not only appealing to the eye but also highly defensive in design. The bracers are worn on the forearms with a trio of leather straps and buckles to secure them in place. They are offered in one highly adjustable size. 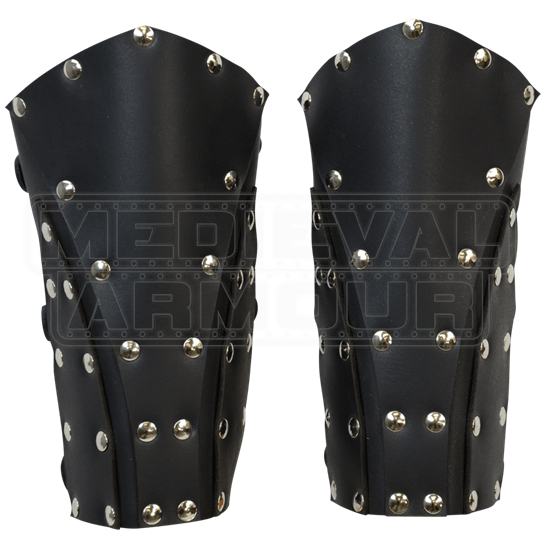 If you are looking for some arm protection that will keep your blades quick and your form perfect, then look no further because these Dark Rogue Leather Bracers are the arm guards for you! Look and function as described. Fit well, comfortable, don't restrict movement. 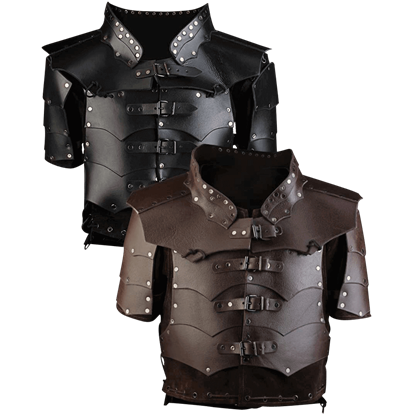 Wear the Rasmus Armour Jacket for a medieval inspired look that impresses with unique style. Its many leather segments are riveted together onto a suede underlayer which is easily adjusted at the sides and along the bottom hem.